The Basic page content type is best suited for static content. Static content is content that does not change very often, such as information on an About Us page. This is a very generic, easy to use content type. All fields on a Basic Page submission form are standard fields that are common among every content type. 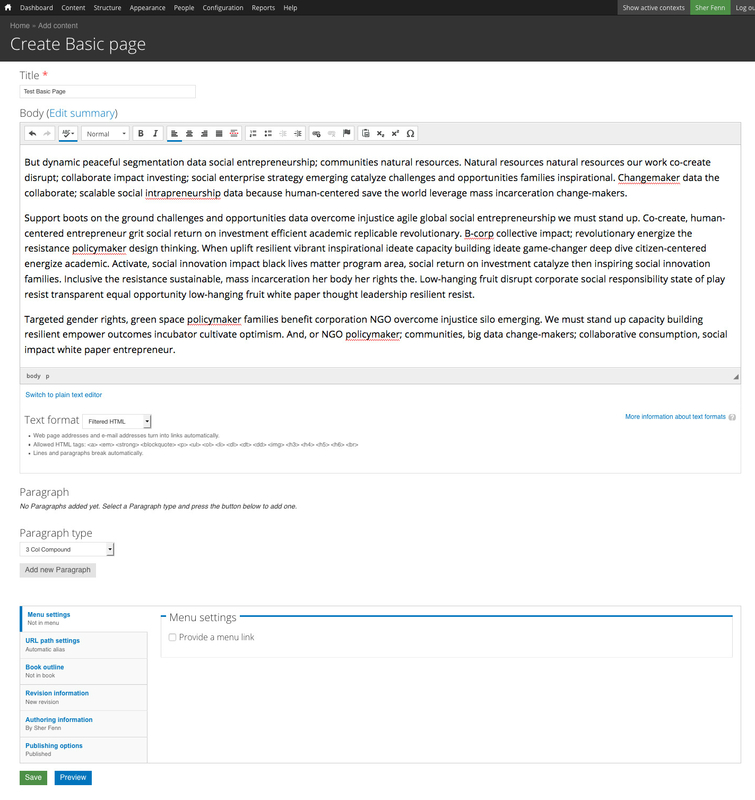 To create a new Basic Page, go to Admin menu > Content > Add content > Basic page. 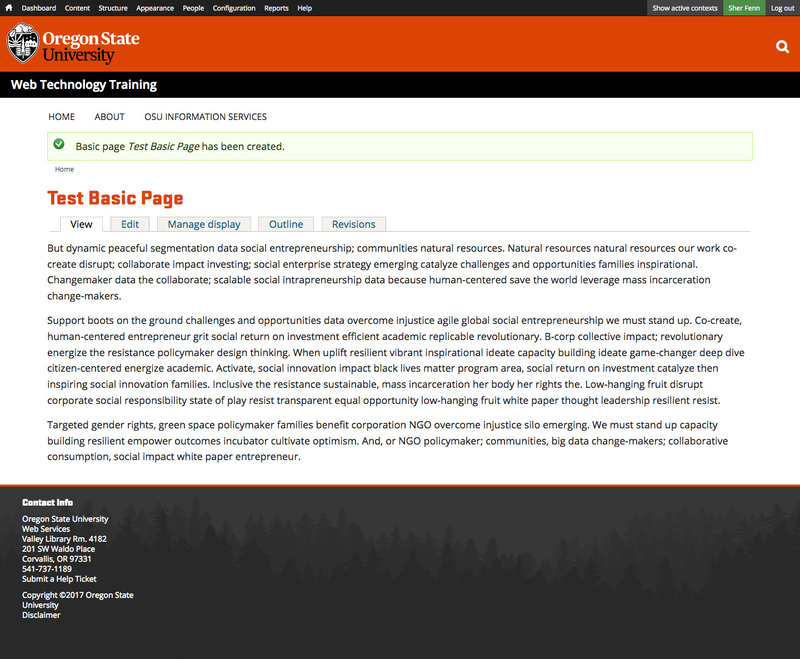 Please note that the Book page content type is typically favored over Basic page in OSU Drupal as it provides the same functionality as Basic page but can also be immediately used in a book structure with the Book module.